By any standard of material wellbeing, my wife and I are very well off. Indeed, we have everything we need—or want. Thanks to the frugal practices of our Great Depression era parents, we learned how to live comfortably within limited financial means. I offer this personal disclosure as a prelude to addressing how the accumulation of extreme wealth by the top one-percent of individuals—along with large corporations and organizations—is exerting excessive socio-economic and political influence over every aspect of modern life. Increasingly, we learn via worldwide media about the inequality gap separating the extremely rich and the extremely poor—and a shrinking middleclass, which has traditionally provided the backbone of the world economy. The daily news keeps reminding us of obscenely wealthy individuals who are always seeking more. And this money-plus-power malady is non-partisan. Sadly, even progressive icon Barack Obama has succumbed to money madness, with his recent $400,000 speaking engagements—from corporate entities that continue creating wealth inequality! The current GOP leadership is particularly well represented by a host of extremely wealthy individuals holding governmental positions of power and influence. The primary winner-take-all representative is Donald Trump, who apparently is able to expect, demand, and receive undeserved special privileges—without impunity. One flagrant abuse of power involves so-called business-related air travel. Records show that, at taxpayers’ expense, Trump travels at a rate multiple times that of his predecessor. According to Judicial Watch, as of mid July, Trump’s total travel expenses, including secret service protection, amounted to $3.58 million, and it’s probably much higher by now. Then there’s also Health and Human Services director, Tom Price, who since assuming office in February, has reportedly used private-jet travel 24 times for an estimated cost to taxpayers of around $300,000, mostly for short U.S. flights available on public airlines at much lower costs. For instance, a flight from Washington, D.C. to Nashville cost $202 (Orbitz), while Price preferred Classic Air Charter—at a cost of $17,760! What’s especially egregious is that this type of luxury spending occurs while cuts are being made to long-standing educational, health, and environmental programs. Outrageous? You bet. Inequality wealth statistics are so well known we need not reiterate them here. Everyone knows that CEOs of most corporations receive exorbitant incomes, including year-end bonuses, whether their companies gain value or not. According to a 2016 report in The Guardian, America’s top 500 CEOs pocketed 340 times more than average workers, receiving an average of $13.1 million annually. Meanwhile, their lowest-paid workers earn less than a living wage. And what about the sky-high salaries of star athletes and coaches, entertainers, and others at the top of specialized professions? Why is such a disparity condoned and perpetuated, and what kind of society allows it to exist? Answer: a plutocracy (or oligarchy), a society ruled or controlled by the small minority of the wealthiest citizens. It might also be considered a kleptocracy, a government or state in which those in power exploit national resources and steal. According to Paul Street (first article in Views), the neoliberal, arch-capitalist system is the major cause of such gross inequalities. Now, if I were king, emperor, or president of the world, I’d consider two options for solving the income gap—in collaboration with a team of reputable experts. First, I’d consider the option of instituting an annual income ratio of approximately 40 (highest-paid employers) to 1 (lowest-paid workers), with a living minimum wage that would be adjusted for inflation on the lowest earners in any field of endeavor. The second and possibly better option would be to place a 100% tax rate on income that exceeds a certain agreed-upon figure, perhaps one million dollars annually. (The top tax rate was 90% in the mid-to-late 50s and the economy was booming.). If someone can’t live on a million dollars or its equivalent annually, then they might have an untenable problem. 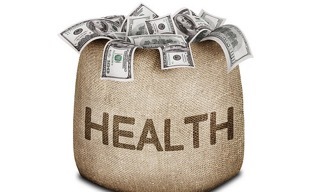 So, does wealth beget health (or vice versa)? The answer might depend on the temperament, expectations, and experiences of each individual. But I think we all agree that more people would be healthier—physically and psycho-emotionally—if they had the requisite means and conditions for living safely, comfortably—and sustainably. And this will be possible only when wealth is proportioned more equitably among all world citizens—for the common good, with healthy communities and ecosystems. Creating such a idealized paradigm may seem unrealistic, but it could also be within our reach—if we collectively strive to make it happen. > Common Dreams: Capitalism: The Nightmare (Paul Street). The neoliberal, arch-capitalist era has produced savage inequalities that reflect government policy on behalf of “the 1 (or 0.1) percent”. Interrelated, bipartisan and not-so-public policies across the long neoliberal era have brought us to a level of inequality that rivals the late 19th-century robber barons era. These “free-market” policies increased poverty and suppressed wages at the bottom and concentrated wealth at the top. > Resource Insights: The High Cost Of An Easy-Care, Low-Maintenance World (Kurt Cobb). I contest the whole idea that a low-maintenance existence is a good thing. In general, entropy obliges us to maintain those objects that serve us, involving us with their needs. By abandoning the duty of maintenance we owe to the objects in our lives, we are distancing ourselves from the physical world and essentially sending the entropy elsewhere for someone else to deal with, whether human or non-human. > Peak Prosperity: You’re Likely A Lot Less Prepared For Crisis Than You Realize (Chris Martenson). Massive storms across the globe, earthquakes, and collapsing ecosystems all combine to remind us that we are indeed intimately connected to our planet’s natural systems. Mother Nature’s recent punishments should be taken as a disciplinary wake-up call: It’s time to prepare, everyone, way past time. Our longstanding view is that there’s also a financial storm coming, and it will be larger and more destructive than all the others that came before. > Common Dreams: The Climate Catastrophe We’re All Ignoring (Jeremy Lent). Global weather extremes are clearly exacerbated by climate change, and have been predicted by climate scientists for decades. The good news is that there’s a short window of time when a fundamental shift in our economic, social, and political priorities could still prevent global catastrophe. Alternative economic models exist that offer ways to conduct commerce sustainably. > Resilience: 100 Percent Wishful Thinking: The Green-Energy Cornucopia (Stan Cox). The 100-percent renewable-energy dream—that private sector and market forces will inevitably solve the climate crises—has become dogma among liberals and mainstream climate activists. Studies have not addressed the expected 4- to-5-fold expansion of the power transmission infrastructure required to accommodate renewable energy, nor do they address the difficulties of maintaining voltage and frequency of alternating current when a large share of the supply is from wind and solar. > Cassandra’s Legacy: Do We Need A New “Axial Age” To Find Our Place In Nature? (Ugo Bardi). The term “axial age” encompasses the great changes that took place during the 1st millennium BC, a time of spiritual awakening. We are deeply stuck in a wrong paradigm. Nature—or the ecosystem, if you prefer—is not, and never was, a “resource” for humankind to grab for free. We are part of Nature and if we don’t respect Nature, then everything we do will be wrong and will damage ourselves as well as all living beings. > Weathering The Storm: North Korea: The Real Threat (R. Michael Conley). America’s aging electrical power grid system is ill suited to meet our future ramped up electrical needs. A major concern is that North Korea might have an “electro-magnetic-pulse” (EMP) weapon that can fry electrical grids and electronic systems over vast areas in nanoseconds. We need to “harden” critical grid sites to withstand an EMP assault or a natural disaster like an intense solar flare that endangers the grid. > Ecosophia: The Terror Of Deep Time (John Michael Greer). Grasp the fact that our species is a temporary yet integral part of the whole system we call the biosphere of the Earth, and it becomes a good deal easier to see that we are part of a story that didn’t begin with us, won’t end with us, and doesn’t happen to assign us an overwhelmingly important role. There’s much to be gained by ditching the tantrums, coming to terms with our decidedly modest place in the cosmos, and coming to understand the story in which we play our small but significant part. > Bloomberg: Garbage From Irma Will Fuel Florida’s Power Grid (Eric Roston). Florida, as a peninsula with a longer coastline than any state other than Alaska, has much less room for trash. Many coastal Florida counties burn their trash. Incineration reduces the solid mass of trash by up to 90 percent. The leftover ash can then be more efficiently dumped in a landfill where space is precious. In 2016, Florida burned 12 percent of its trash, recycled 44 percent, and another 44 percent went into landfills. > Citizens Climate Lobby: Climate Caucus Weighs In On Disasters, Hears About Economic Impact (Flannery Winchester). The CSC (Climate Solutions Caucus) is up to 56 congressional members (28 from each party). In their latest meeting, the discussion focused how climate change is affecting tourism, including the ski and outdoor recreation industry. > New York Times: How Can U.S. States Fight Climate Change If Trump Quits The Paris Accord (Brad Plumer). Three governors in United States Climate Alliance—Jerry Brown of California, Andrew M. Cuomo of New York, and Jay Inslee of Washington—unveiled a new study by the research firm Rhodium Group that said the 14 alliance states were on pace to meet their share of the Obama administration’s pledge under the Paris accord, thanks in part to local mandates on renewable energy and electric vehicles. > Common Dreams: Nuclear Plants Plus Hurricanes: Disasters Waiting To Happen (Harvey Wasserman). Throughout the world, some 430 reactors are in various stages of vulnerability to natural disaster, including ninety-nine in the United States. Earthquakes, storms, tsunamis, and floods have already damaged numerous nuclear plants. The complete blackout of any serious discussion of what Harvey and Irma threatened to do to these six Texas and Florida reactors is cause for deep concern. > MPR News: Garden Bounty A Windfall For Minnesota Food Shelves (Ken Christensen). Research is adding to the evidence of a problem that touches every corner of the planet, from the depths of the ocean abyss to the surface waters of the Arctic, to an area in the middle of the Pacific Ocean now known as the Great Pacific Garbage Patch. Scientists think plastic pollution (overwhelmingly microfibers) in the ocean could outweigh the fish there by 2050. Improved filters may be one way to stop ocean-bound microfibers. > Oil Price: The Race For The “Holy Grail” Of Renewables (Irina Slav). The race is on for increasingly reliable, grid-scale, quick-to-install energy storage solutions that will make the shift to all-renewable power much more realistic. In this, factors such as renewable-friendly regulation and integration of storage systems with renewable power generation capacity can tip the energy transformation scales. AES Energy’s Escondido battery storage facility in California was hailed as the largest one to date, and Tesla is building a bigger one in Australia. > The Guardian: 10 National Monuments At Risk Under Trump’s Administration (Oliver Milman). A total of 10 US national monuments are in the Trump administration’s sights to be either resized or repurposed, in order to allow activities such as mining, logging and grazing within their borders. Environmental groups have vowed legal action to stymie any alterations to the protected areas. Here are the 10 national monuments identified for change by Ryan Zinke, the secretary of the interior. > MPR News: Garden Bounty A Windfall For Minnesota Food Shelves (Mark Steil). Dennis Stelter, 83, clearly enjoys the vegetables produced near his southwestern Minnesota farm home, eating what he can, but giving away much to friends and family. but also to the Kitchen Table Food Shelf in nearby Marshall, Minn. Volunteers handle Stelter’s donations and the other produce coming into the food shelf, and organizations like Second Harvest Heartland pull that food into their distribution networks. > Resilience: How A Universal Basic Income Could Fire The Imagination (Rob Hopkins, Martin Kirk). Universal Basic Income (UBI) is basically an idea that says everybody gets an income (but pays no taxes) that provides enough to survive, if not thrive. There are lots of different people talking about it right now from across the political spectrum. This is one of the things that make it an interesting emerging idea that’s not formulated or settled, but worth engaging. > New Internationalist: For A Society Beyond Consumerism (Tim Jackson). The success of consumer society lies in its spectacular ability to repeatedly disappoint us, which is why consumerism must eventually fall. We can build a vision of prosperity based on people’s ability to flourish as human beings, rather than their propensity to consume insatiably. We can discover how it might be possible to live better by consuming less: to have more fun with less stuff. From there we can move beyond the economics of relentless growth and begin to build an economy that works, for everyone. > Resilience: Thermal Optimization: A Private Sector Program For Energy Efficiency Optimization (Rick Barnett). Coal, oil and natural gas account for 82% of the world’s growing energy use, while renewable energy (geothermal, solar, and wind combined) provides only 1%. In the US, residential space conditioning accounts for about 43% of the primary usage. Thermal retrofitting of homes and buildings adds greater resilience to extreme weather events, and is the only emission reduction measure that mitigates and adapts with the same investment. > Ensia: Is Climate Change Driving You To Despair? (Sara S. Moore). For those concerned about climate change, work can lead to psychological trauma, shattering our deeply held assumptions and beliefs about the way the world works and our role in it. This in turn can lead to burnout and disengagement. To protect ourselves, and our communities, we need to understand, recognize and respond to climate trauma [See: Is This How You Feel?]. Helpful suggestions for managing and coping are offered. > Ensia: Eat A (Farmed) Fish, Save The Planet (Scott Nichols). Expected global population and demographic changes mean we need to double our food production by the 2040s. One solution is aquaculture, or fish farming. Among the oldest ways of producing food, aquaculture is also one of the most efficient—and I contend the best tool we have for feeding an estimated 9 billion people by the early 2040s. In terms of environmental footprint (finprint?) fish easily outcompete chicken, pork and beef. > Bloomberg: 4 Ways To Cut Violent Crime In America (Noah Smith). Although U.S. crime has fallen by about half since the early 1990s, violent crime is still very high compared to many other nations. Setting aside the question of gun control, these four approaches should be tried: 1) Lead abatement, as evidence connects lead poison to violent behavior; 2) Drug decriminalization, by using more medical treatment and counseling; 3) Prison education, providing job skills for post prison life; and 4) Community policing, by using more foot patrols and interacting with citizens. > WorldHolder: 2000-Watt-Society Kick-Off, Wed., Sept. 27, 5-8 p.m., 901 23rd Ave. NE, Mpls. (Becoming an energy-efficient and carbon-neutral city by 2050 + NE plan specifics: Executive Director, Stephan Tanner. Register now! > Transition MacGroveland/Union Park: Transition Day of Skillshare, Sat., Sept. 30. Macalester College, Janet Wallace Fine Arts Center,130 S. Macalester Street, St. Paul. Pre-register: www.transitiontwincities.org. Contact Kristi Fackel. > Citizen’s Climate Lobby: Regular Meetings And Events (www.citizensclimatelobby-mn.org); Meetings in 18 MN locations on the 2ndSaturday of each month to focus on bi-partisan Carbon Fee and Dividend Legislation; 40 members of the US House on the Climate Solutions Caucus are involved.